The EU referendum has been connected with a 57% increase in race related hate crimes. Elizabeth Holmes examines how to keep schools and pupils safe and champion equality. After months of campaigning and ugly politics, the United Kingdom looks set for Brexit, if the necessary constitutional wrangles can be worked through. With such a close result there has, understandably, been fallout. While distance from these events will give us greater clarity, it does seem that the vote to leave has lead far right groups to believe they have a green light for action and the number of race related hate crimes is rapidly on the increase (up 57% according to the National Police Chiefs’ Council). Social media sites are awash with examples and video footage shows wretched moments of racial abuse being played out on trams, buses, trains and streets around the country. National Front stickers are appearing on lampposts in our cities too, carrying hate-filled messages. The brutal murder of Jo Cox on 16th June, allegedly by a man (Thomas Mair) who gave his name as ‘Death to traitors, freedom for Britain’, has offered yet further fuel for the fire. These have been ugly scenes indicative of a confused electorate. Schools have a central role in the encouragement of the absolute rejection of racism and hate, although we must be clear that the responsibility for addressing racism and hate cannot rest solely on educational establishments. But while community cohesion begins in the home, it is nurtured in schools, and at times of unrest, we must sharpen our responses to it lest our tolerance of hate increases. But how to achieve that? From speaking to experts in the field (and I make no apology for that), it is clear that three steps must always be taken in the face of racist hate crimes. First, they must be acknowledged for what they are, second, they must be challenged and thirdly, they must be reported. While the police obviously have a dramatically increased workload since the referendum result, David Cameron has promised extra cash to ‘drive appalling hate crimes’ out of Britain. We must expect any reporting to be followed through as a priority. A school’s own ethos and values are the starting point for working together to ensure all children feel safe. ‘These can be reaffirmed in assemblies and curriculum activities, and might focus particularly on values of respect, kindness and community,’ Bill said. Meg Henry, an adviser for Schools Linking is well aware of the dramatic rise in the incidents of hate crime. She feels that ‘sense of belonging for all, relationships in the school community and a deep understanding of equalities in action are all needed to create a great school. Thoughtful assemblies, engaging curriculum activity reminding pupils of the values and ethos of the school all play their part in building community cohesion. The work of many organisations in pursuit of a better life has never been more necessary. The links below may support you in developing community cohesion in your school. Government pages on reporting hate crime. Although old now, the 2013 Tackling Extremism report has some useful content on schools. Bullying UK carries information, primarily for parents, on racist bullying. For background information take a look at the Racial and Religious Hatred Act 2006. Defeating Organised Racial Hatred: An information pack contains information on tackling racist far right activity. 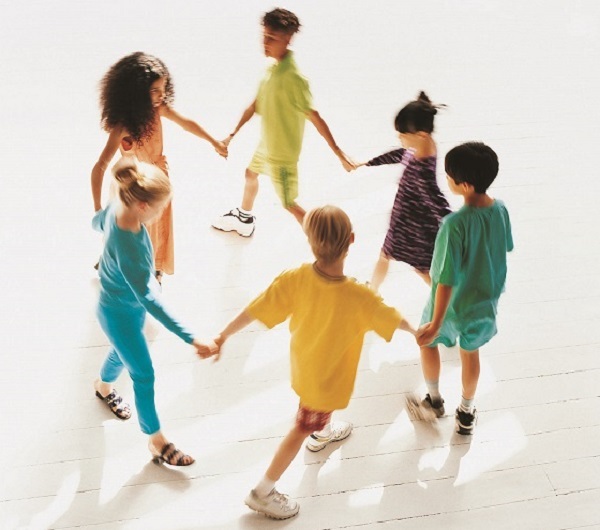 Schools Linking offers curriculum ideas and assemblies on community cohesion. Independent education consultant, Bill Bolloten, can be contacted via billboll1@mac.com.